Awe-inspiring, full of character-driven moments and packed with a great amount of brilliance, Maniac is a thrill-ride that is not to be missed. The short is directed and produced by award-winning Sam Borowski (Night Club, Pollination *) and written by Nihad Shalabi. 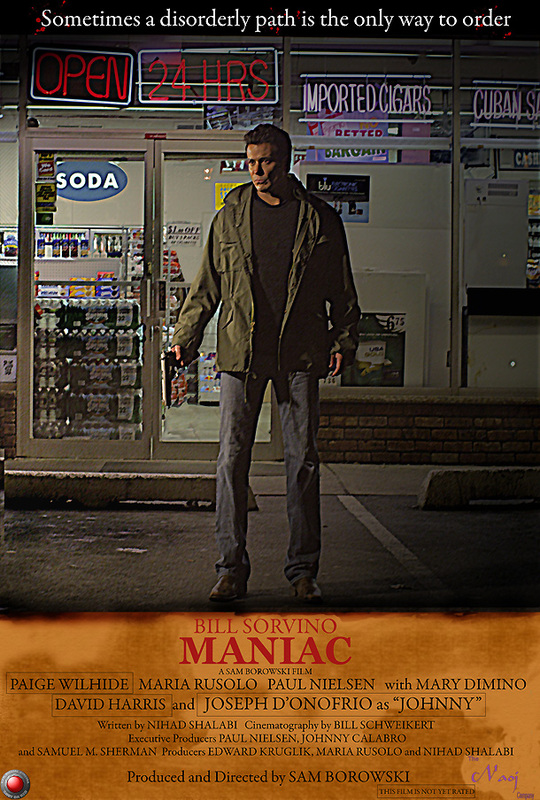 With performances that grip you, the short revolves around the Man, a character portrayed with utter genius by Bill Sorvino, a man haunted by his inner demons and the desire to stop bad people from hurting the innocent. Borowski’s direction gives off a Tarantino-like vibe following the Man between the lines of hero and anti-hero. You find yourself wondering whether you should root for this character, or against him. Joseph D’Onofrio (Goodfellas and A Bronx Tale), Maria Rusolo, Mary Dimino, David Harris (who played “Cochise,” in the iconic Walter Hill film, The Warriors), Dominik Tiefenthaler and Paige Wilhide round-out the cast in supporting roles that also bring forth unique and captivating performances. With a look, feel and a score that rings in a 1970s-touch to the short, Borowski worked with Bill Schweikert to help give Maniac its memorable essence. A great feeling of homage for Taxi Driver is felt throughout the short as the Man’s actions take place and grip the characters around him. The audience gets a great sense of nostalgia for films of the past. Maniac shows viewers that Borowski can make a heartfelt feature film (Night Club), a short film that tells us about humanity (Pollination *) and a gripping thrill-ride that follows a man between the lines of hero and anti-hero. The themes of heroes and anti-heroes, vigilantes and right and wrong are greatly shown here and are sure to be a big hit as the short begins its festival run by premiering at FLICKERS Rhode Island International Film Festival, an Oscar-Qualifier, on August 10, 2013. Maniac is also slated to screen at the 30th Long Island Film Festival (Sept. 7th), the Northeast Film Festival (Mid-September) and the Golden Door International Film Festival of Jersey City (Oct.11th). With performances, writing and direction that is Oscar-worthy, this film is sure to pick up many awards following its premiere. 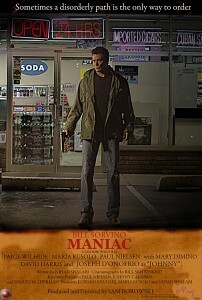 Comments for Borowski Does It Again with “Maniac” – An Exclusive Review are now closed.